One week of raiding past us, in a few hours the servers will be up, and the second week will start. And Innovation had a little strange raiding week, so what happened you ask, well..a LOT. 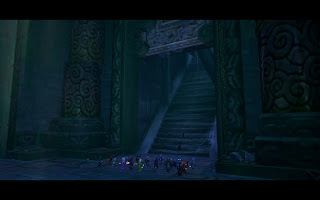 Innovation's first normal raid-day was thursday. 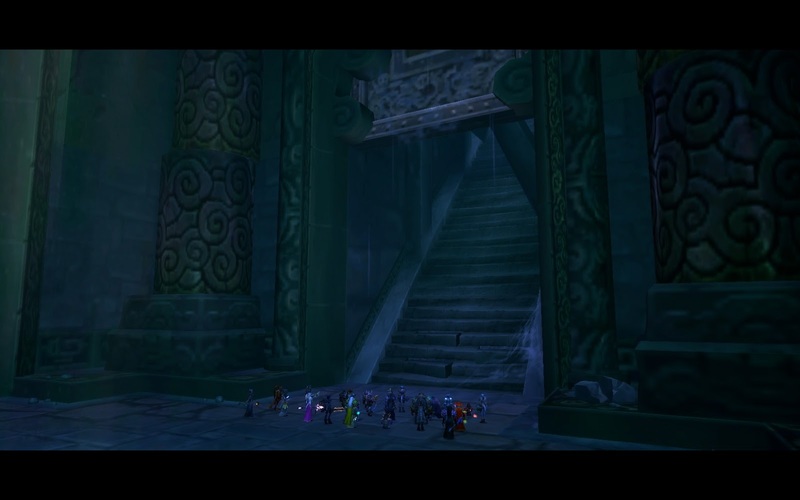 As mentioned last pots, we already had a full guild-flexraid on wednesday, and behold, that did help us. It seems so far that the mechanics are the same on flex and normal, only doing less damage on flex. So before we knew it we killed Immerseus. It seems this is a typical first-boss-loot-pinhata-boss. 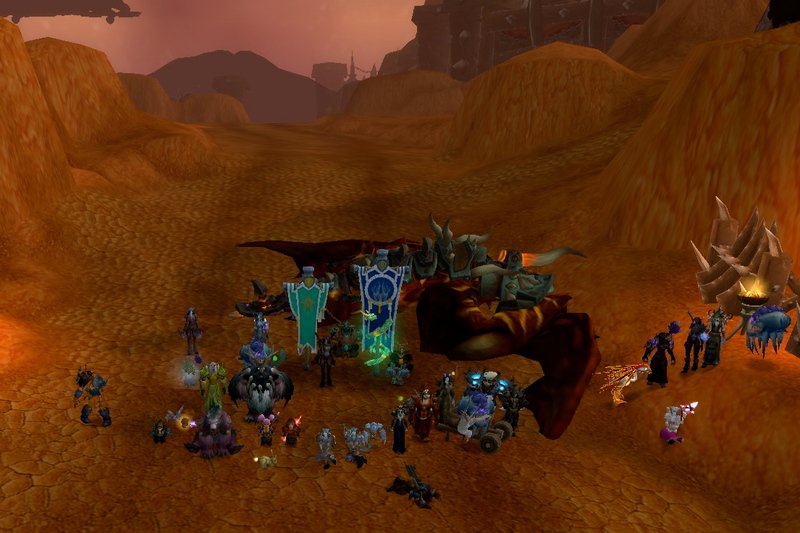 So, we gathered up our purples, and went outside to the Fallen Protectors. Now, I think we wiped once on them in flex, new mechanics and such, so I was expecting the normal version to be a little harder... which it was... it took us 1 wipe more and they where down. So, after some trash stuff, we encountered another Titan-construct, Norushen. This one only wanted to test us, because it thinks we are full of Pride. Well, maybe we where... because this one kept us occupied the rest of the night. On sunday we returned, and make short work of Norushen's Pride-test. 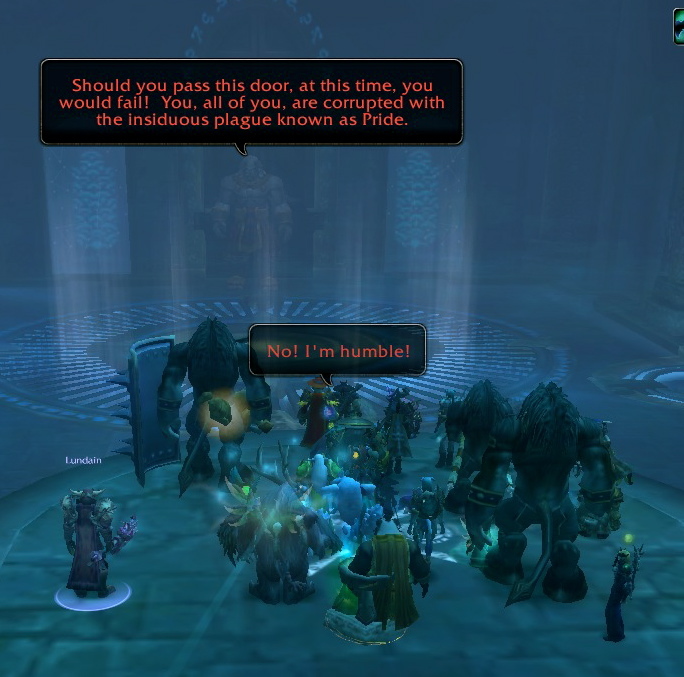 We entered the next room, where half of the raid died to irritating trash. After that, we went to work on Sha of Pride... and yes, I am still half expecting a Sha of Happiness... This Sha had a lot of stuff going, stacking up, freeing prisoners, little adds, big adds, pride-meter, different boss-abilities on different pride-levels, and a nasty DoT. But, through wiping, you learn, and the longer the night lasted, the lower Sha's Health went. We ended the night with the last two wipes below 10%, one 3.9 and one 4.something if I remeber correctly. So, we knew this one would go down on tuesday. The pull after that, Jaina decided stand by the towers, she really must like those, where she was out of reach..and promptly died to something. 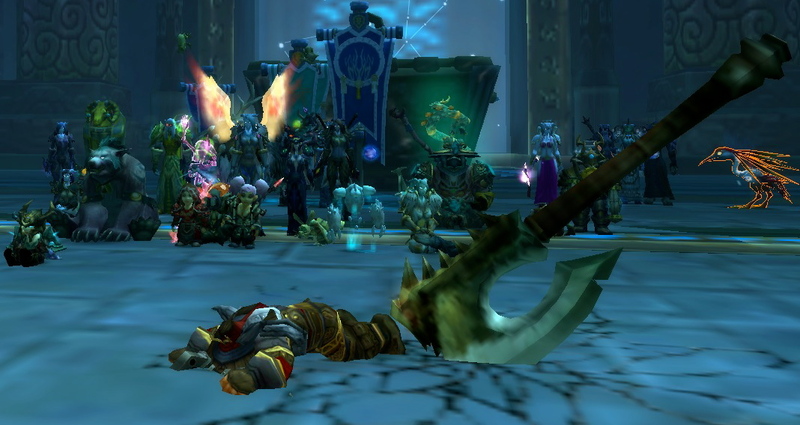 I think the fourth pull actually brought Galakras down, after which the fight was over. The road to Ogrimmar lie open before us. 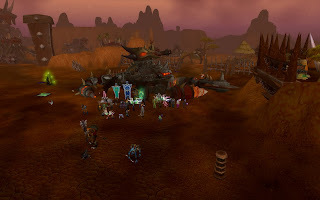 Problem was, the goblins build a large scorpid-like apparatus with lasers and guns and bombs and more stuff.... we also met up with Baine and Vol'Jin. This fight was at the end of the night. I think the first pull was after 10, while we raid till 11. Basically, I think most of us where getting tired and already happy with this weeks progress, and I actually expected that the raid would be called early. So, after one week raiding, Innovation is 6/14. This has been, in number of Boss Kills, the 'best' raiding week Innovation had since the start of Cataclysm. And also by far the best start of a new Tier. I cannot actually remember a second bosskill in the first week.. This also makes me wonder if these bosses are to easy, or that latter bosses will be much harder? And also the time we have left. Keep in mind, that last tiers of expansions tend to take a little longer then previous tiers. So, we might be in Ogrimmar for a while. We are John Snow-ed about the next expansion, so I actually expect us to be here for the next 6 months at least... oh well. So..we heared your alts had it though? Innovation vs. Throne of Thunder, the recap.